Need the emergency dentist residents have relied on for years? Dr. Shervin Rahimi is no rookie to handling all sorts of dental emergencies, in fact he has an extensive experience treating various oral health care problems that require prompt attention. From an unbearably painful toothache to a knocked out tooth, Kyrene Family Dentistry can attend to your specific dental emergency. If you experience any of the following, make sure you call our Chandler emergency dentist at (480) 705-9005 immediately. Better yet, put Kyrene Family Dentistry on your speed dial to ensure you get dental care fast at such a difficult, and sometimes traumatic, situation. While savings in time and money, as well as pain and discomfort can be achieved by taking good care of your teeth and carefully protecting yourself from potential hazards, there will be a time when accidents still happen and there is no stopping it from damaging your teeth. Here is a list of the most dental emergencies and corresponding tips on how to deal with them properly. Broken tooth – In the event of a broken or damaged tooth, rinse your mouth with warm water to clean the affected area. Make sure to continuously put cold compresses on the affected area of the face to reduce swelling. Go to the dentist immediately for the emergency dental procedure dentists are trained to perform for these particular cases. Bitten tongue or lip – Most cases of bitten tongue, lip, or even cheek can heal on its own. Just clean the area gently with a cloth and apply cold compress to keep the swelling down. However, if there is profuse bleeding that does not stop in a short time, you may go to the dentist or a hospital emergency department for medical care. Toothache – Rinse the mouth with warm water to clean it out. Try using dental floss to remove any food particle that may have been trapped in between the affected teeth. Whatever you do, and contrary to popular belief, do not attempt to put aspirin on an aching tooth or gum tissue. If the pain still lingers for an hour or so, you may see your emergency dentist as soon as possible. Objects caught between teeth – If you have a fish bone or something stuck in between your teeth, try to gently remove the object with a dental floss. If unsuccessful, visit your emergency dentist so he or she can remove it for you. Whatever, you do, do not try to remove it with a sharp or pointed instrument, unless you want two dental emergencies at once. Knocked-out tooth – Try to hold the tooth by the crown and rinse the root of the tooth in warm water if it’s dirty or drenched in blood. Do not scrub it or remove any attached tissue fragments. If it is possible, gently insert the knocked out tooth in its socket and hold in its position while you make your way to the dentist. If it is no longer possible, you may drop the tooth in a cup of milk and bring it with you to the dentist. Go as soon as possible. Possible broken jaw – Apply cold compresses to control swelling and do not waste precious seconds, go to your dentist or a hospital emergency department immediately. 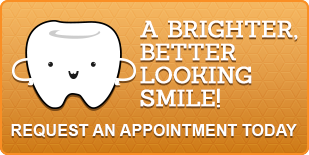 Call us at (480) 705-9005 for the emergency dentist Chandler residents have always counted on for dental emergencies. Every second counts, so do not hesitate to contact us as soon as possible.